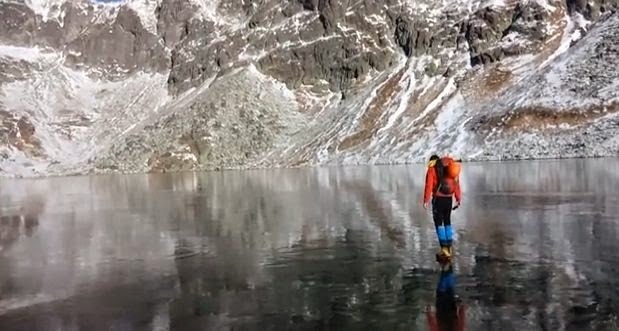 Tomas Nunuk and a friend were hiking through the High Tatras Mountains in Slovakia when they detoured to a nearby lake because of the snow conditions. What they discovered was pretty amazing. The lake was frozen over and the ice was crystal clear. So clear, in fact, that it looked like the hikers were floating on air. “Nature never ceases to amaze,” Jim Goldstein wrote on the post. “If this is real, then where are the frozen fishes?” Check & Mate wrote, sarcastically.